Ta-da, we now have the first gamepad only game on OnLive. OnLive released Assault Heroes 2 to the marketplace as a PlayPass title. The game is priced at $4.99 in the US ($3.49 PlayPack) and £3.49 in the UK (£2.44 PlayPack). Before it came to OnLive, Assault Heroes 2 was only available on the Xbox LIVE Marketplace, so there is no PC version of the game available to buy. I'm sure, OnLive could have added keyboard and mouse controls to the game, but I think they want to make a point with this game. And the point is that OnLive is a console platform to be reckoned with and now with Assault Heroes 2 also has a gamepad controls only game, like the other console platforms. Gamers who only use gamepads to play on OnLive can also celebrate a small victory, as the keyboard/mouse elitists now know how it feels when you want to play a game on OnLive and don't have the proper control apparatus to play the game. Since Assault Heroes 2 is a controller only game, OnLive is running a limited time offer in which you get Assault Heroes 2 for free when you purchase the Universal OnLive Wireless Controller in the US ($49.99) or UK (£39.99). After the purchase you get your promo code for the free game sent to your email address with which you have signed up for your OnLive account. The promo code is good until 6/7/2011, 11:59 PM PDT (11:59 PM BST UK). Assault Heroes 2 is an arcade-style top-down shooter game published and developed by Behaviour Interactive. The sequel to the award-winning Xbox LIVE action extravaganza, Assault Heroes 2 continues to ramp up the excitement. Your original enemy was just a pawn of a more sinister alien force, and now you must fight on both land and in space to overcome this new threat, with even more levels to enjoy. Fight alone or work with a friend in the enhanced two-player co-operative mode. Employ bigger and stronger weapons and enjoy a more intense on-foot combat experience. Battle through the extensive and intense levels in your trusty 4x4, or hijack enemy vehicles for even greater firepower. Whether attacking on foot or piloting all-new spacecraft, players will enjoy optimum mobility in the most dangerous situations. Take on even more relentless enemies and face-off with the most outrageous bosses you have ever seen on your way to the climactic battles in outer space. 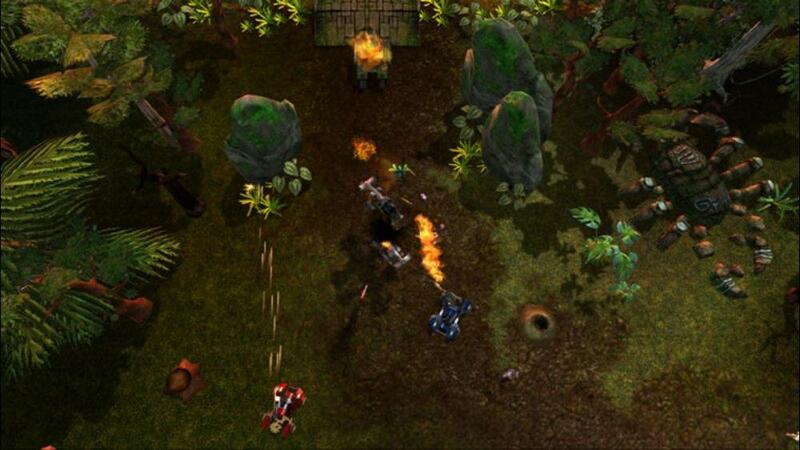 You can play the free demo and buy Assault Heroes 2 for the US powered by OnLive. You can play the free demo and buy Assault Heroes 2 for the UK powered by OnLive.